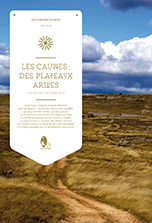 Huge plateaux, the Causses are made up of limestone lain down when the sea covered the region, 200 million years ago. 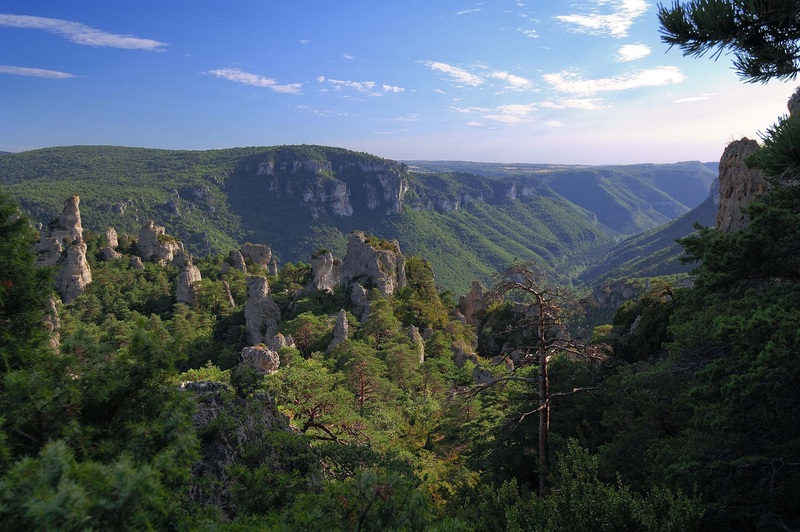 They are separated by the Dourbie, Jonte and Tarn gorges, veritable canyons up to 500 metres deep carved in the thick beds of limestone. The upper parts of the gorges consist of steep rock walls containing many caves. At the feet of these cliffs, huge rockfalls spread across the softer rocks. 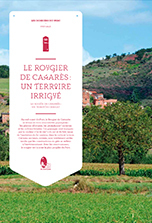 The area owes its Bordeaux colour to the oxidation of the iron contained in the rock and the soil. 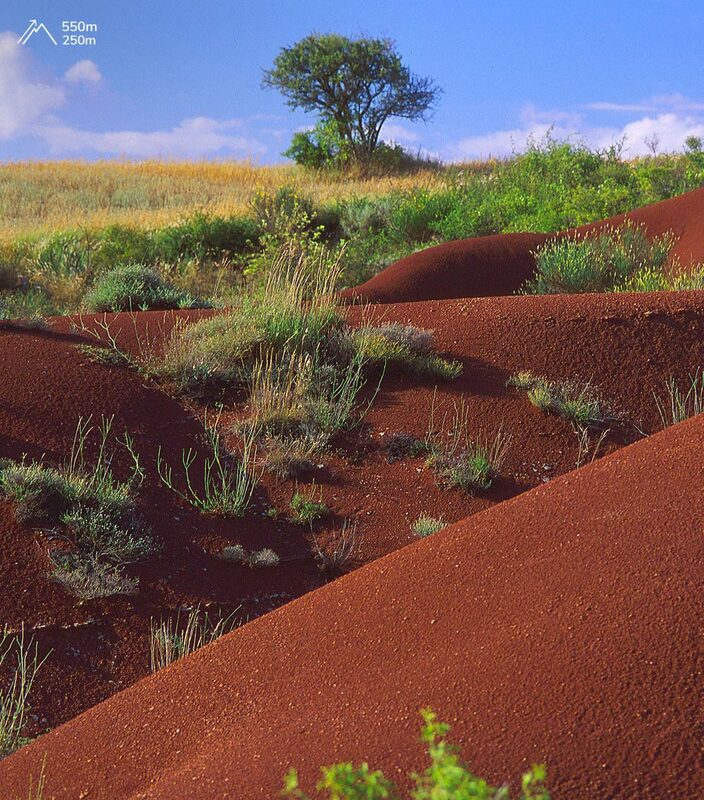 It is mainly composed of sandstone lain down in the Palaeozoic era, between 300 and 250 million years ago. It is drained by the Dourdou and Rance rivers. The climate is hot and dry in summer, while the abundant water favours cereal production. 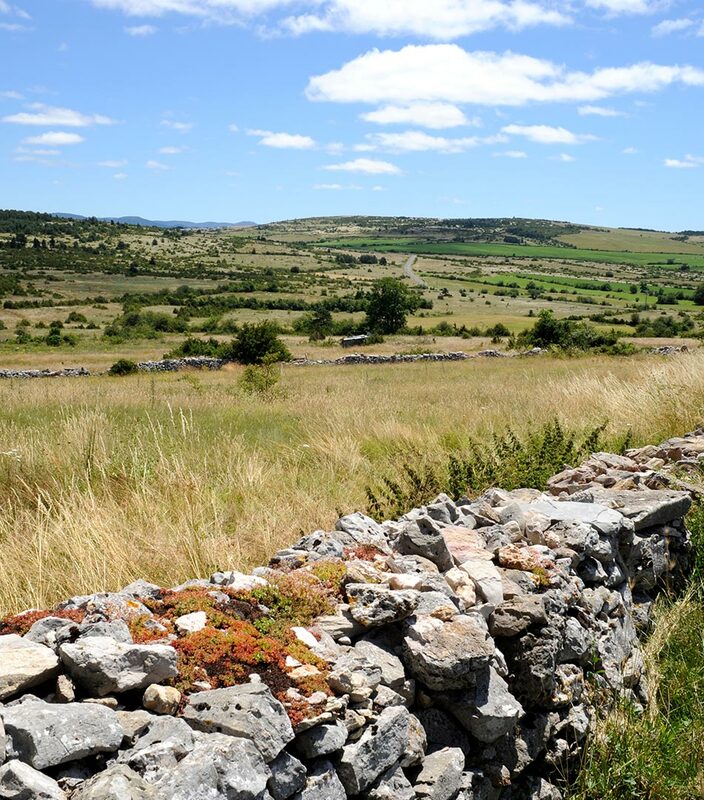 The climatic conditions in the Monts are difficult, meaning that settlements are scattered. Between 300 and 1,155 metres (Puech du Pal on the Lévézou). Nevertheless, the liming of the land, which began in the early 20th century, has made the Monts productive. 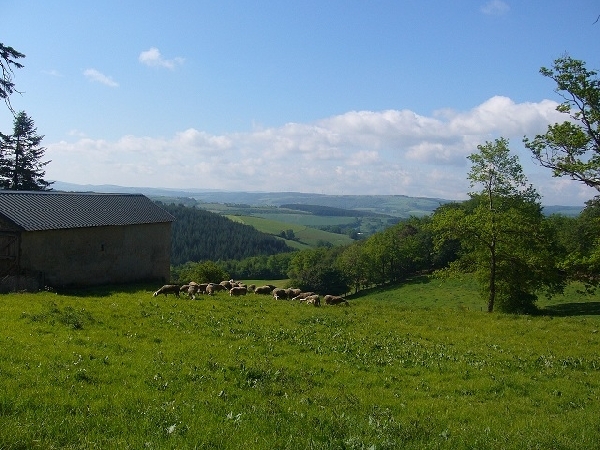 Livestock rearing predominates and silviculture is widespread on the Monts de Lacaune. More recently, the landscape of the Monts has seen the addition of windfarms. The altitude and the frequent winds optimise the yield of the generators. The avant-Causses (pre-Causses or foothills), older than the Causses, formed by marine deposits 200 million years ago, consist of limestone and marls (a mixture of limestone and clay). 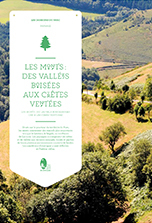 Rivers (Serre, Aveyron, Tarn, Dourbie near Nant, Cernon, Sorgue) have cut valleys into these plateaux which stretch from the north to the south of the Park at an altitude of around 650 metres. 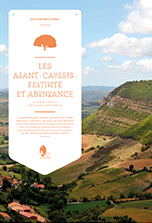 Fertile and irrigated by many springs, the avant-Causses have attracted Man since ancient times and have become sweeping farmlands dominated by sheep and cattle rearing. The sheltered slopes, such as those in the Tarn valley, are covered in orchards and vineyards, traditionally in terraces. 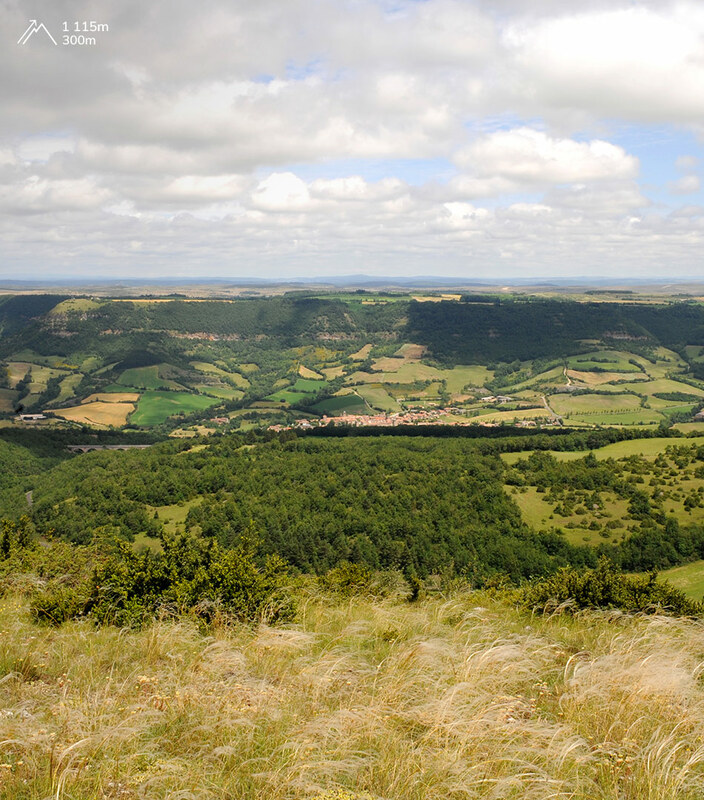 The Park’s three towns – Millau, Saint-Affrique and Séverac-le-Château – have developed in this landscape.